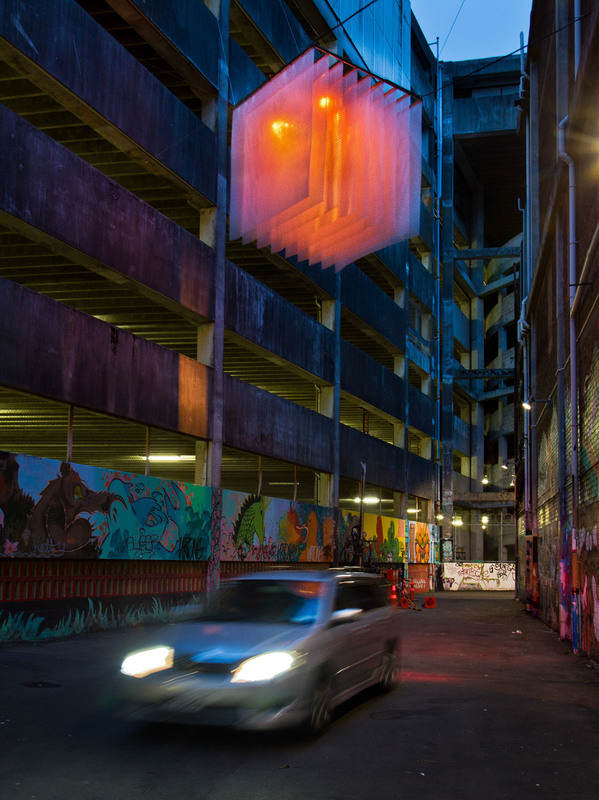 Wellington City Council approached S&T to work on a lighting installation for Opera House Lane. 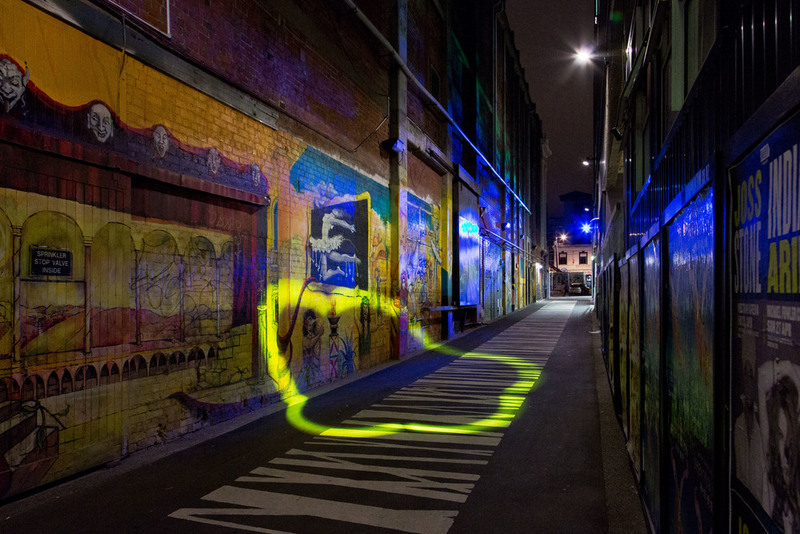 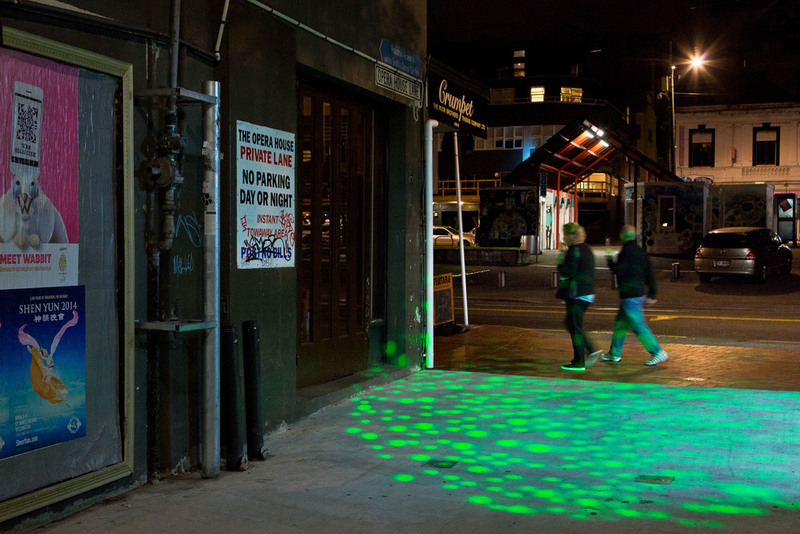 The project was part of an initiative to make Wellington’s urban spaces livelier and safer. 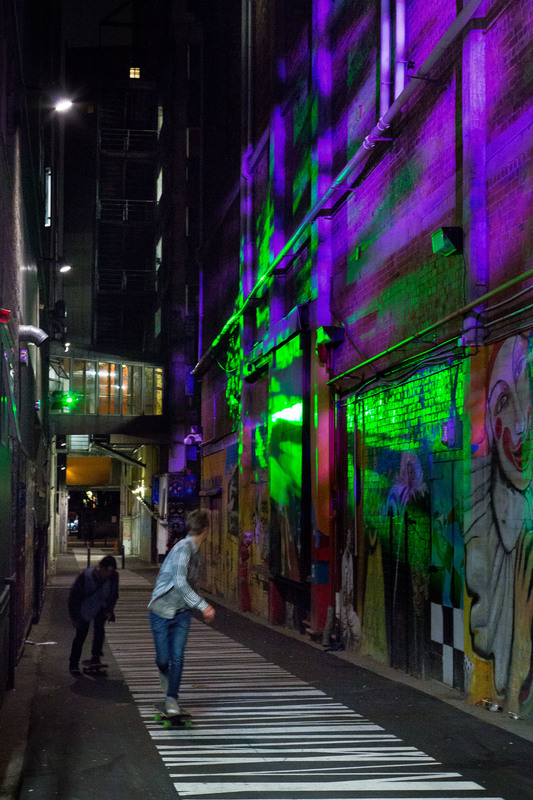 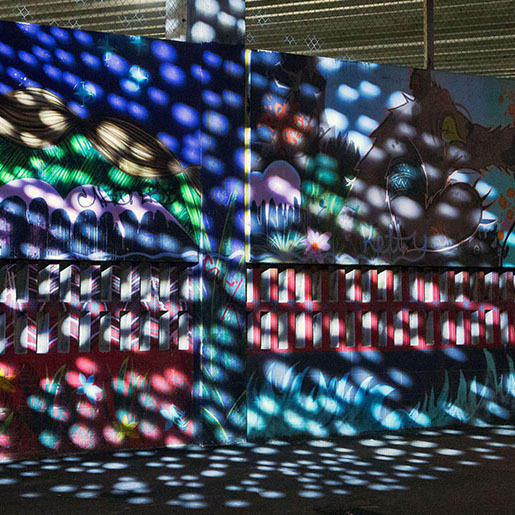 S&T’s lighting designer, Pontus Hammarbäck, took on the challenge to revitalise the lane and make it more appealing by installing colour-changing, movable light fittings capable of creating a playful and interactive environment. 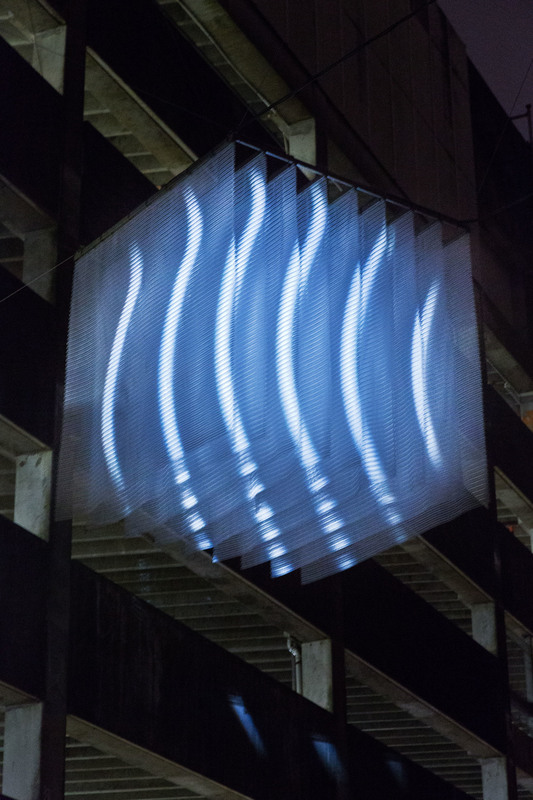 Pontus also used light to draw attention to a Kaynemaile chandelier made from a locally invented material which was used as a lightweight alternative to chainmail in The Lord of the Rings films. 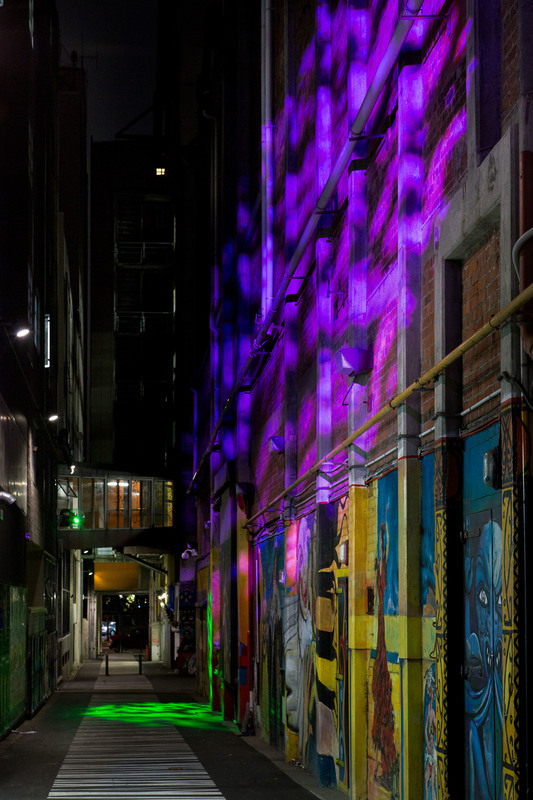 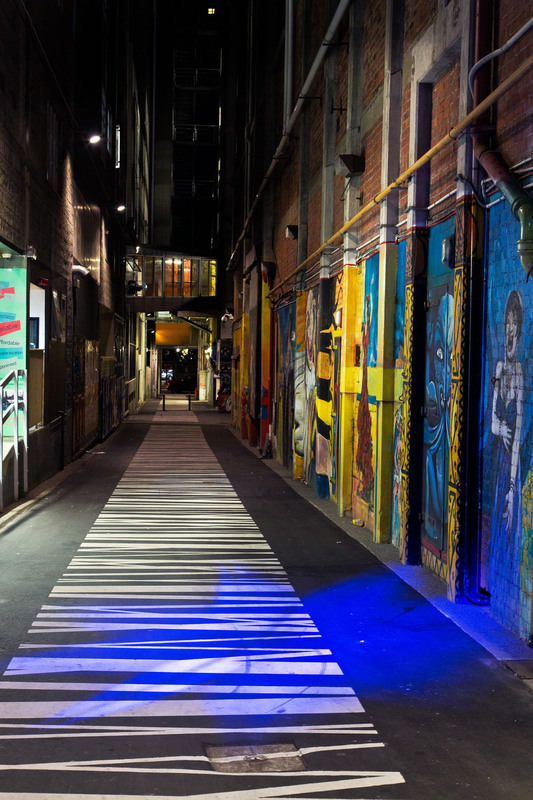 As lighting design is a relatively new field in urban environments, it was a great opportunity to creatively reinvent this once ‘dodgy’ alleyway into a space for pedestrians to pass through and enjoy the magic of the lights.